1000mL Tall Form Polypropylene Pitcher | U.S. Plastic Corp. 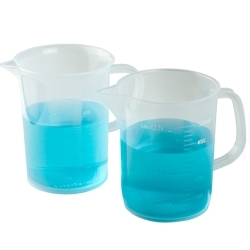 This 1000 ml Tall Form Polypropylene Pitcher is 5" diameter x 6.1" high OD and 3.5" diameter x 6.1" high ID.